Damask knife in Chef of the Twin Cermax series. 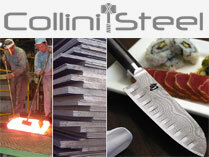 Manufactured by Zwilling limited edition to 240 copies worldwide. Sold in an elegant black box.